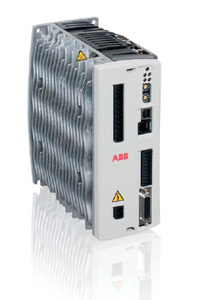 MicroFlex e100 Servo Drives - ABB Inc. The MicroFlex e100 servo drives combine real-time Ethernet POWERLINK technology, advanced motor control and single-phase operation in a compact package. The MicroFlex e100 can operate from 105 to 250 V AC single or three-phase and is available in multiple current/ power ratings. Ethernet and motor encoder feedback interfaces are fully integrated and optimized for demanding motion applications.